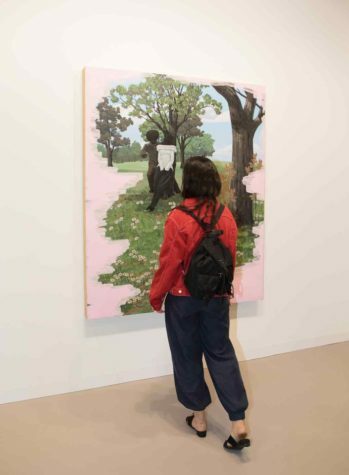 A month after the rapper Sean “P Diddy” Combs paid a record $21.1m for Kerry James Marshall’s 1997 painting, Past Times, two works by the Chicago-based artist flew off the walls during the VIP preview of Art Basel this week. Jack Shainman Gallery sold a new painting, Vignette (The Kiss) (2018), while David Zwirner sold Vignette #12 (2008); both pieces went to private US collectors. Although willing to give prices for other works on their stands, both dealers cited the “sensitive nature” of pricing Marshall’s paintings since the record-breaking May auction in New York and declined to give figures. Sources estimate the combined value of the two works to be around $10 million. Picasso To Be Most Expensive Painting?